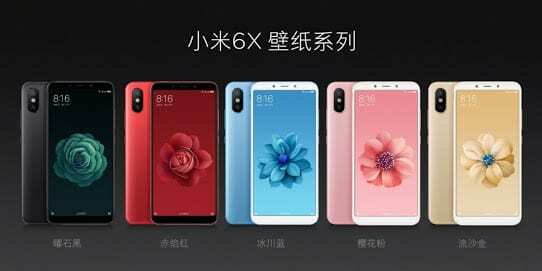 Xiaomi Mi A2 (Mi 6X) has been launched in China as the upgraded version of the Mi 5X we reviewed earlier. The device will be known globally as Mi A2, even though it’s called Mi 6X in China. The Mi A2 comes with lots of advanced features that was missing on its predecessor. First of all, it’s bezel-less with the iPhone X-like dual shooters and runs on Android 8.1 Oreo with the latest MiUi 9.5. Lets see what else the Xiaomi Mi A2 (Mi 6X) has to offer. 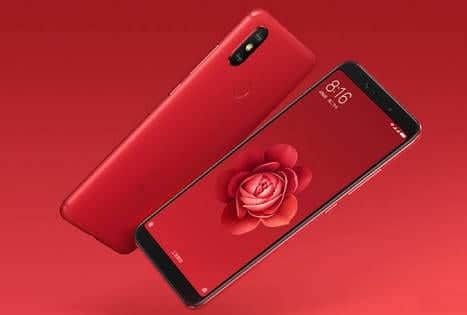 What is Xiaomi Mi A2 (Mi 6X) Price and Availability Status? Talk about looking like an iPhone X clone, the Mi A2 doesn’t look like its predecessor one bit. 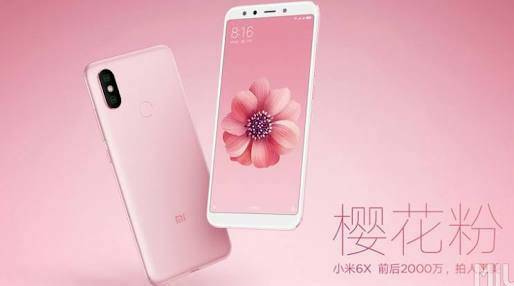 Well, apart from the same Aluminum Alloy overall unibody, it has a striking resemblance with the Redmi Note 5. The dual rear camera at the top left corner has its LED flash in between. Xiaomi isn’t ready to let go of the rear fingerprint scanner just yet, as the Mi A2 comes with the feature. The volume keys and power button sits by the right why the SIM slot is by the left. Talking about sides, it measures 7.3 mm in thickness and weighs 168g overall. In terms of colors, it’s available in Cherry Pink, Flame Red, Sand Gold, Glacier Blue and Black. Lot of Mi A1 users complained of the enormous bezels on the device, when it was late last year. It’s safe to say Xiaomi knew about this and made sure the Mi A2 has major reduction in Bezels. The screen dishes out an 18:9 aspect ratio with extremely narrow bezels. Users can now enjoy their movies and games in a bigger view. With this reduction in bezels, a massive 5.99-inch LTPS FHD+ IPS LCD capacitive touchscreen serves you bezel-less visuals. Exuding 1080 x 1920 pixels in resolution and 403 pixel per inch density for clear visuals. Stretching up to 77.4% screen to body ratio while a Corning Gorilla Glass 3 protects it all. The Snapdragon 660 from Qualcomm came to play here alongside an octa-core processor and 64-bit CPU architecture. The 8-cores of processor runs at a fast clock speed of 2.2GHz with 14nm process technology. The Adreno 512 graphics processor from Qualcomm handles graphics. The standard version of the Mi A2 (Mi 6X) packs 128GB storage space and 6GB RAM for multitasking with over 1GHz of memory speed. While the cheaper variant with 64GB storage space has either 4GB RAM and 6GB RAM. Nonetheless, both storage spaces are upgradeable up to 250GB if you can forfeit a SIM slot. Xiaomi Mi A2 runs on Android 8.1 Oreo with MiUi 9.5 skin. The dual rear shooters is now AI powered and would take more detailed photographs. The 12MP + 20MP camera has f/1.8 aperture, 1/2.9″ sensor size, 1.25µm pixel size and f/1.8 aperture, 1/2.8″ sensor size, 2.0µm pixel size respectively. Features on the camera includes, phase detection, autofocus, 2x optical zoom, LED flash, Geo-tagging, touch focus, face detection, HDR and panorama. Apart from recording videos of 2160p@30fps, you can now record videos of 720p@120fps. There’s another 20MP selfie shooter with f/1.8 aperture, 1/2.8″ sensor size and 2.0µm pixel size that records videos of 1080p with Auto-HDR. Powering the Xiaomi Mi A2 (Mi 6X) is a 3010mAh non-removable Li-Ion battery with fast charging technology. With the fast charging feature, it shouldn’t take up to 1.8 hours to fully charge up the battery from 0% to 100%. The Xiaomi Mi A2 (Mi 6X) is available on Shopping stores from $299 (N100,000) to $349 (N120,000). Click on the links above to view the latest Xiaomi Mi A2 (Mi 6X) price & availability on Shopping stores.